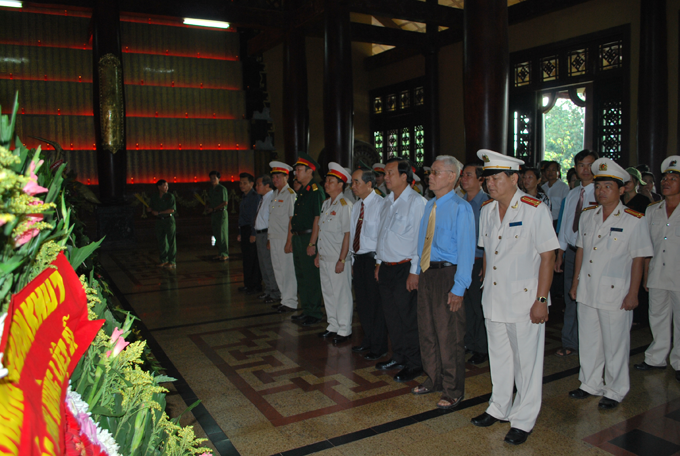 In the famous land of Cu Chi Tunnels, in the past time of fighting with American enemy and right in the heart of the "iron triangle" that noisy with bombs and bullets, today, the Party and the people of Ho Chi Minh City created a project: The Monument Temple for Martyrs of Ben Duoc. 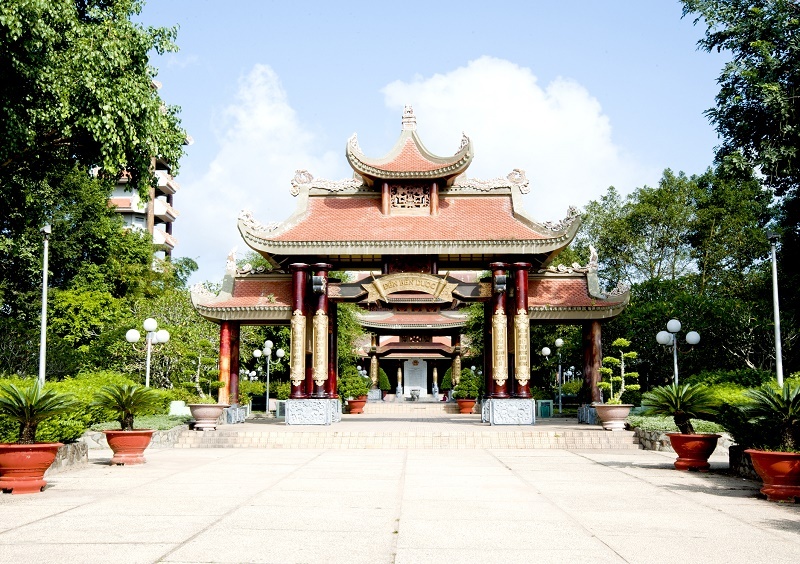 The Monument temple was built to commemorate the huge services of the people, the soldiers who fought and sacrificed in the area of Saigon - Cho Lon - Gia Dinh in the two wars against French and American invaders. It is a project for the future generations to always remember, to express their gratitude and their pride. 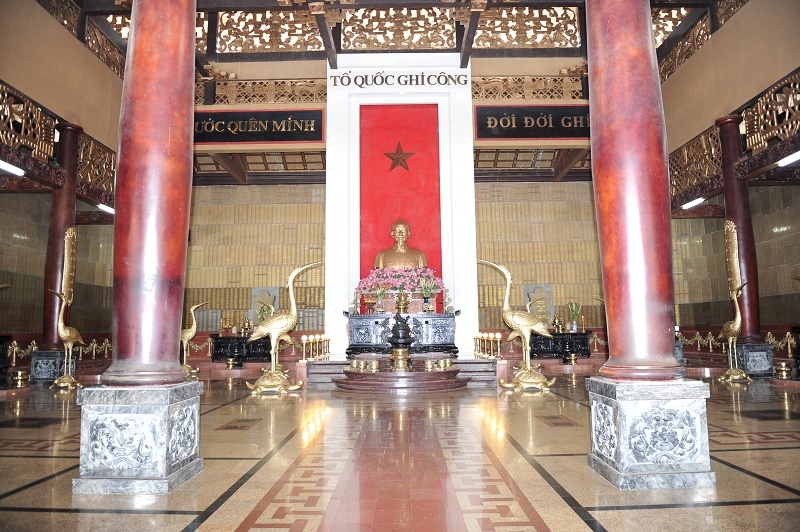 The Monument Temple for Martyrs of Ben Duoc, Cu Chi is a master project with spendour of materials and intellectual works that were contributed by the compatriots, the leaders of the Party Committee, the People's Committee of Ho Chi Minh City and the avunculars, the writers and the artists, the artisans. Each person contributed with the enthusiasm of the burning heart, of the moral and the intellectual clarity to make an architectural complex of bold national identities. The temple was built .on an area of 7 hectares of land. The construction was started .on 19/05/1993 .on the anniversary of the 103rd birthday of President Ho Chi Minh, the beloved leader of the nation, the founder of the Communist Party of Vietnam. On 19/12/1995, the temple was inaugurated the first phase and began to welcome innumerable people in the country and from abroad to commemorate, to burn incenses and to contemplate about a vital thing that created the holy soul of the nation. 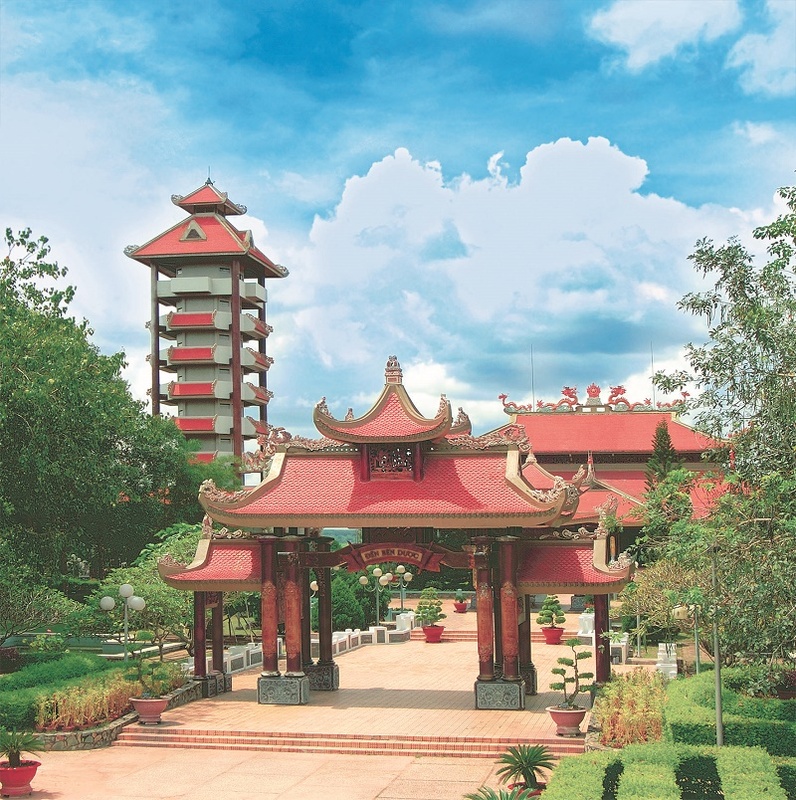 The temple was created by the architects, the builder and the enthusiastic people to make a harmonious, airy architectural complex that bears Vietnamese culture in a subtle, gentle way as the ethnic Vietnamese soul. Take the red blood to protect the homeland ". Your figures shades thousand years". The memorial stele house with the essay is a square house with two tiled roofs, in the middle topped a rock stele with 3m high, 1.7m in horizon, 0.25m thick and its weight is 3.7 tons. This rock stele was taken from an 18 tons rock in Ngu Hanh Son, Da Nang City. It was shaped, carved with the unique patterns of the nation by the artisans. 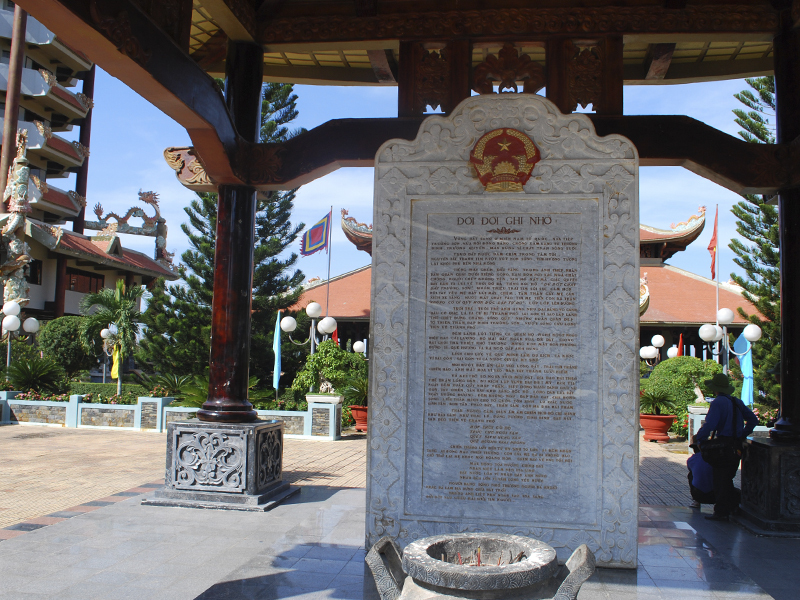 The essay that was engraved in the rock stele was titled "Eternal memorial" of the poet Vien Phuong. This essay was chosen in a contest with 217 essays in 29 provinces and cities. The essay in the stele is truly a timeless heroic essay. It does not .only express the lofty pride to the sky of our nation but also the merciful heart of the nation, the heroic spirit of "cutting mountains, digging mountain passes " of the people, the great sentiment and love of many comrades, compatriots that did not care about hardships and sacrifices to make the glorious, resplendent history of Vietnam. Like ancient temples of Vietnam, the main temple has the dignity and is quiet. 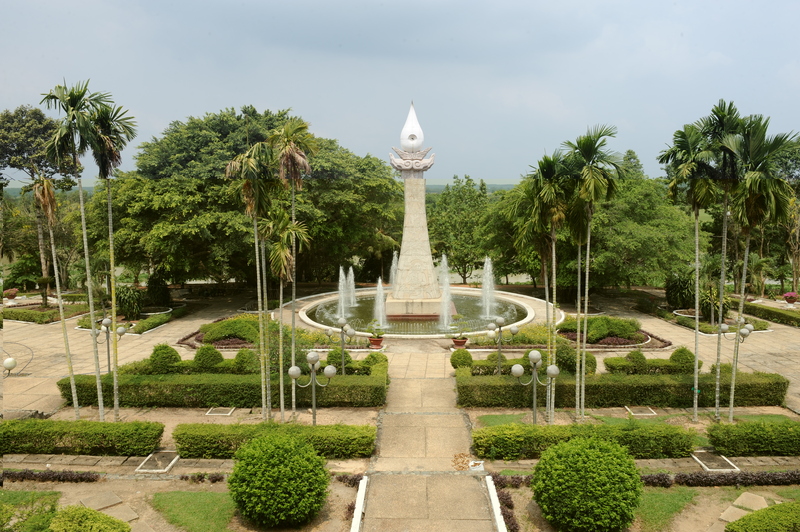 The shrine is a U-shaped layout: the Center is the national altar, the middle is the statue of President Ho Chi Minh, in the top is the letters: Forget youselves for the Country. Homeland cites. Remember forever. There are two incense altars for the ancestors, the soldiers, the compatriots that died and their names have not been found .on the left and the right. Along the left wall, there are the names of the martyrs of the Party of the People, .on the right wall, there are the names of the martyrs of the armed forces. The names of the martyrs were carved in the marble stele in golden letters. There are 44,752 martyrs that were named in the temple, including Heroic Vietnamese Mothers, heroes, martyrs, of which 14,077 martyrs are children of other 40 provinces, cities and 800 martyrs with unknown hometown. Every day, many people come to find the names of their relatives and their comrades; they choked up, moved to tears to see the names of the martyrs that are supplied by the Management Board of the temple. We are proud of the outstanding people of the motherland that have their names carved in the temple. From now .on, the venerated soul of the martyrs will be warm, serene, because every day there are many groups of people to bring flowers, incenses to commemorate the people who sacrificed for the cause of the independence and the freedom of the nation! Space I: The French enemy invaded, all Vietnamese people forget their lives to protect the nation. Space II: The typical figures in the years from 1920 to 1945. Space III: The first shot exploded to fight against the French invasion for the second time. Space IV: Political Struggle, the armed forces fighted in 3 directions of the nearby of Saigon. Space V: This was a red belt with the fight of the people in the center of the headquarters of American army like the commandoes of the Sac Forest, Cu Chi - land of steel land and copper wall, An Phu Dong, Bau Co, Lang Le. Space VI: Attacked the enemy in the spring of 1968. Space VII: General attack and uprising to liberate the South of Vietnam in the spring of 1975. Space IX: The City has the honor of being named Uncle Ho. The tower represents the rise to the peak in the future. The tower has 9 storeys, 39 m high. .on the walls, there are many patterns, relieves that show the life and the fight of the people of Cu Chi "Steel Land and copper wall". .on the top floor of the Tower, we can see a part of the revolutionary bases of the place that has gone down in to the history as the "iron triangle"
The first part, with the theme "The people reclamated – The Gods made up the land". The second part, with the theme "Our people are colonized, oppressed - unite to fight to get the victory." The third part, with the theme "More and more power to fight against aggression". 7. The symbol of "the holy soul of the country"
It is 16 m high, erected from rock with the sculpture of extremely subtle patterns. With the shape of tear that drops down to mourn for the heroes, the martyrs who fell down for the independence and the freedom of the nation. The panorama is like a pen tower that is writing .on the blue sky as that of the bright and heroic yellow historical page of Vietnamese people. The symbol of "the holy soul of the country"
From the land that is full of bomb craters, barren and devastated by the wars, now this temple has an array of smooth, beautiful garden with blooming flowers all year round and with a variety of precious plants that are the gifts of many artists, the agencies and the departments. 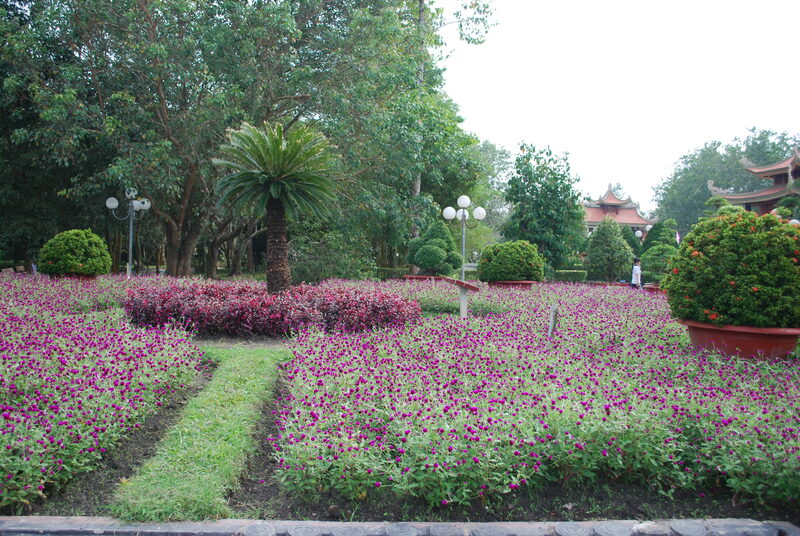 In particular, the leaders of the Central Government, the City and the province planted many memorial trees in the garden in front of the Temple. 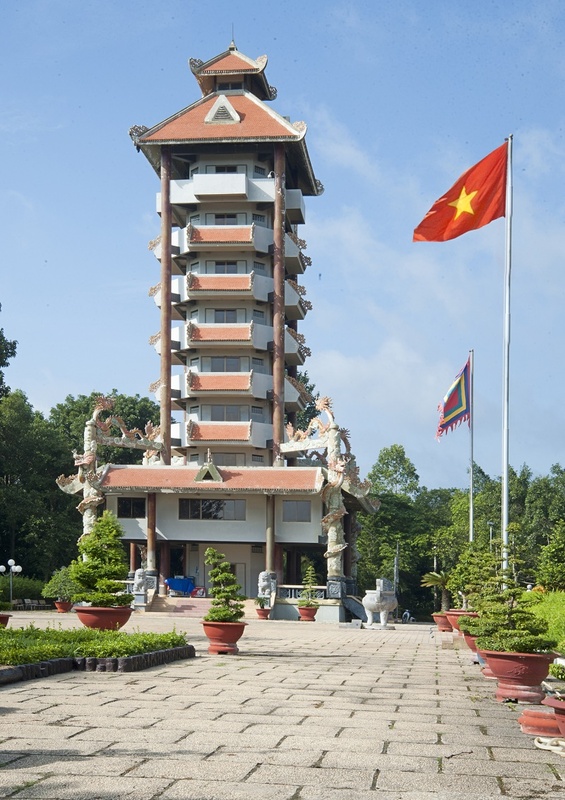 The Monument Temple for martyrs in Ben Duoc, Cu Chi makes us always remember the glorious history of the nation in the two past hard wars, remember the heroic Vietnamese Mothers, the heroes, the martyrs and so many people died for the country to develop like today! The Monument Temple for martyrs in Ben Duoc will be eternal for the next generations. 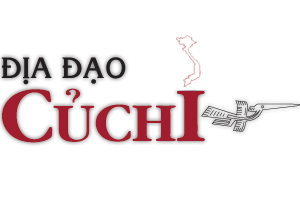 Address: Phu Hiep Hamlet, Phu My Hung Commune, Cu Chi District, Ho Chi Minh City. The bright land in the South of the Fatherland, half is next to Truong Son Mountain, half is connected with the plain. Fighting against the aggressions from Truong Dinh, Truong Quyen with the blood of the heroes overflowing the rivers, the springs. When the country was immersed in the darkness, Nguyen Tat Thanh had deep mercy for the country, looking towards the future; the smoke was over the Nha Rong Wharf. The noise of the guillotine in the light of steel, the people was writhing under the chains and shackles, bombs and bullets fell, countless dead bodies that overlapped .one another, the dead peopled were not at peace, their grave were crushed. The enemy determined to push our people back to the Stone Age. The voice of Uncle Ho "Even burning Truong Son Mountain ..." Million hearts are full of hatred. The Mother’s weak hands repelled the guillotine; her thin body stopped the chain of the tank. The tears dropped into to the heart, the mother saw off the son to the war. "Nothing is more precious than the independence and the freedom", innumerable people started for the fight. Youth! Hero years like the eagle that is flapping "We will come to wherever that has the enemy!" The city of Saigon, the twinkling stars: We swear to be dead while we are standing rather than we are alive but we have to be .on our knees. The young and beautiful army like angels, overcome Truong Son Peak, crossed the Mekong River towards the city. There are many kinds of sweet folk songs at nights of different provinces with so many love. The heroes from everywhere meet .one another in here, we can find heroes everywhere near our living place. The regular troops came to our hometown to be the guerillas. All the country is for Sai Gon, Sai Gon sacrifices for the country. Dig the land deep into the ground, the hearts are the trenches, the eyes are the stars, the hands are the swords. Rudimentary weapons, horses, mines, tunnels were as long as the hearts of the people, the guerrillas set up the anti - American belt, fought in the days and the nights like magicians. The City Rangers fought in the heart of Saigon, the airports, the ships, the depots were exploded – the hearts of the people rebelled, they were .on the streets in day time, sleepless at nighttime, they kicked barbed wire, covered the guns, sacrificed their lives for the national survival. The enemy were fully equiped with heavy bombs, blockbusters, pack guns, god of thunder, ghosts, B52 for carpet bombing. The big vicoty was from the huge sacrifice. Who counts the mourning scarves, who measures blood in the battlefield? The sons of the mothers would never go back, the mothers cried every sunset ... the birds flew up to the mountain at night. Outstanding people made the holy land. The people are great for the patriotism. Will shine in the hearts of next generations forever.